Hey y'all! I'm straying away from the usual a bit today. 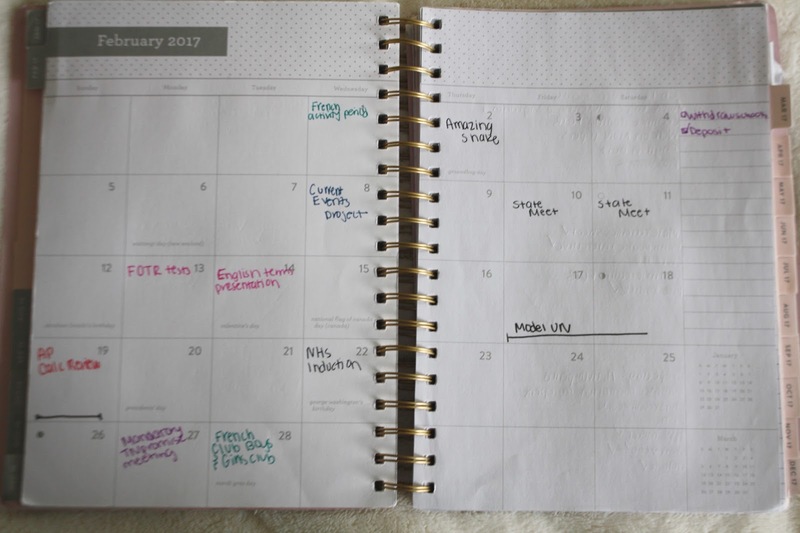 I wanted to let you all into my very-well organized life, such as with my planner! I'm hoping to write some posts regarding school, college, and organization in the future, so let me know what you think of this post! Let me start by saying this- if anyone knows me personally, they know I am the definition of Type A. I am a list maker and a know-two-months-in-advance planner. I think a lot of people wonder how to stay organized, but honestly it's something that just comes natural to me. Even if organization is not your forte, I am hoping that this post can help you get on the right track. 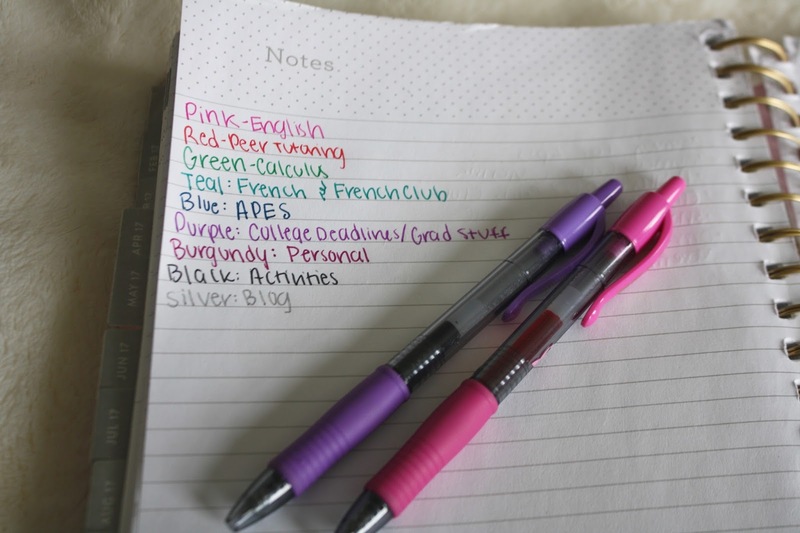 Contrary to popular belief, you don't have to get a super expensive planner to stay organized. 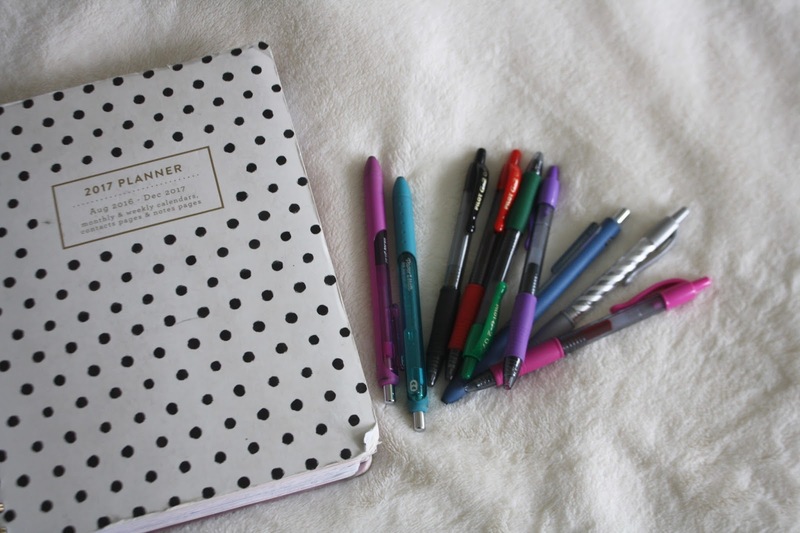 While those are nice, and definitely swoon-worthy!, I am a high school student and don't have excess money to spend on a $60 planner. These days, Target and other stores have very cute planners that mimic some of the more expensive planners. And trust me- I have been there. I used to be on a Lilly Planner kick but they got way too expensive to get every year. Now I am using a planner that a friend got me from Michael's. TJ Maxx also has a good selection of planners- so check those stores for budget-friendly options! Anyone who wants to keep an organized planner needs to consider color coding. While this may seem super OCD and excessive, it's actually really helpful! I chose to color code by class. Then I designated the remainder of the colors to other things. 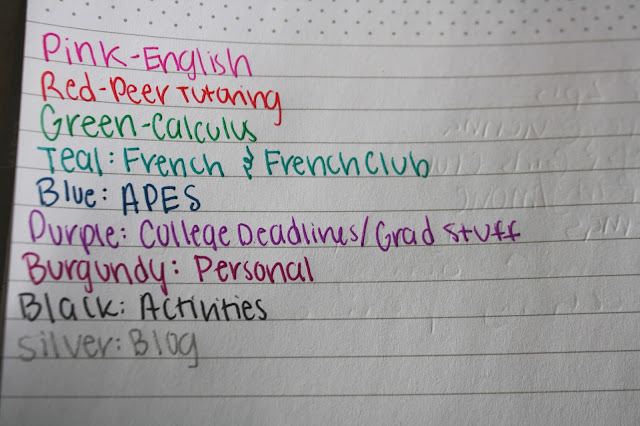 I used to have different colors per each activity I did, but my senior year is winding down so I am not as busy as I was in the fall. Choose whichever way makes the most sense to you! Now for monthly spreads. 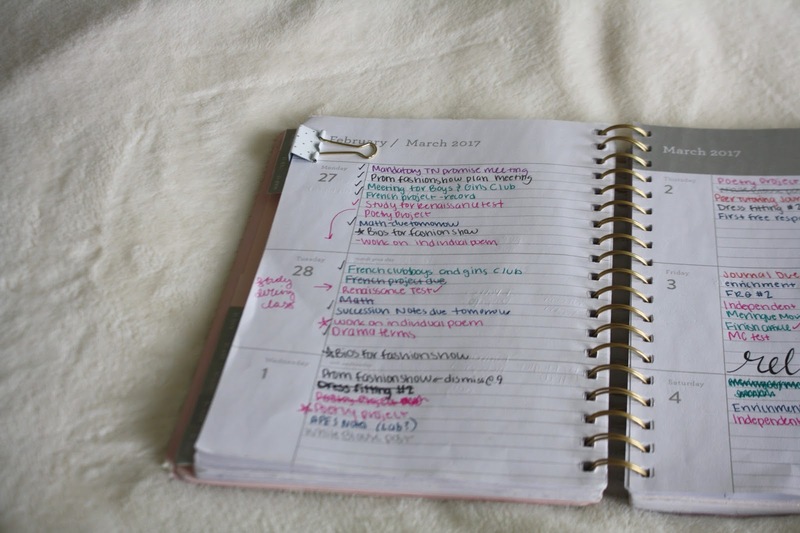 I actually usually skimp on the monthly spread because most of what I write in my planner is homework. 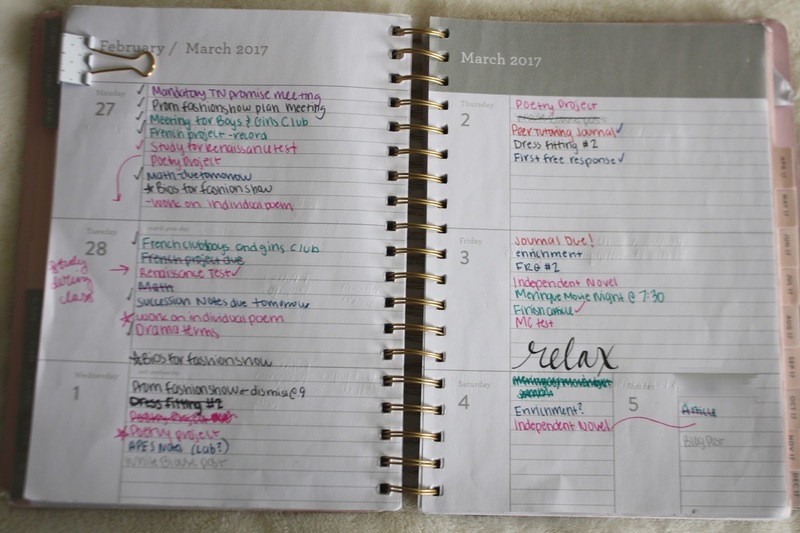 On the monthly spreads I put major deadlines, due dates, vacations, major activities, and doctor's appointments. You can get a glance at February below. I also like to use the side bar to make lists. I usually make lists with post it notes, but major things that I need to get done that month are listed to the right. As you can see, I only had a couple of things on my larger scale to-do list. If I have a really hectic week, I will use a post-it note for my to-do lists each day. Now onto one of my busiest weeks of February. I had a lot going on and my planner definitely shows it! 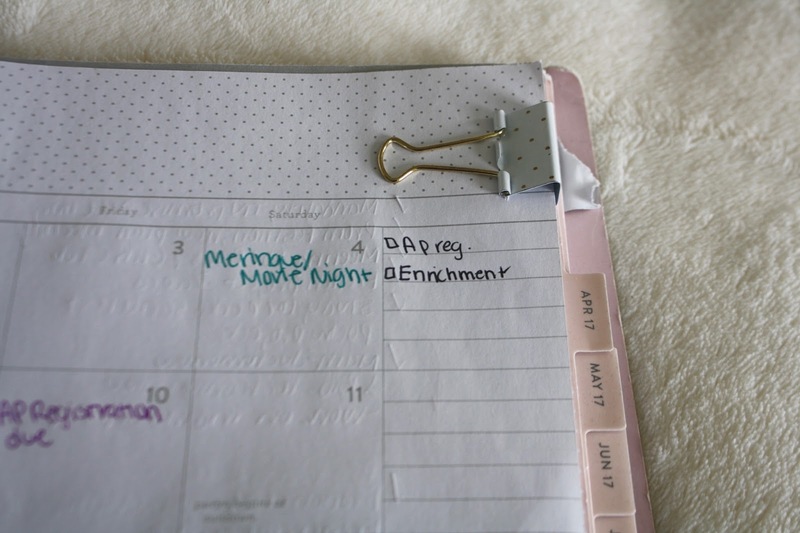 For easy access to my week, I keep a binder clip on the edge of my planner. Now you can really see the full week. I like to check off or draw a line through things as I get them done, so a lot of my homework has been checked off. There is also no rhyme or reason to how I have written things down. I write assignments and events down as I here them. I also star things that are important. I'm generally stressed out during a week like this, so I like to remind myself to breathe or relax. In calligraphy handwriting, I wrote a reminder to breathe on Friday. 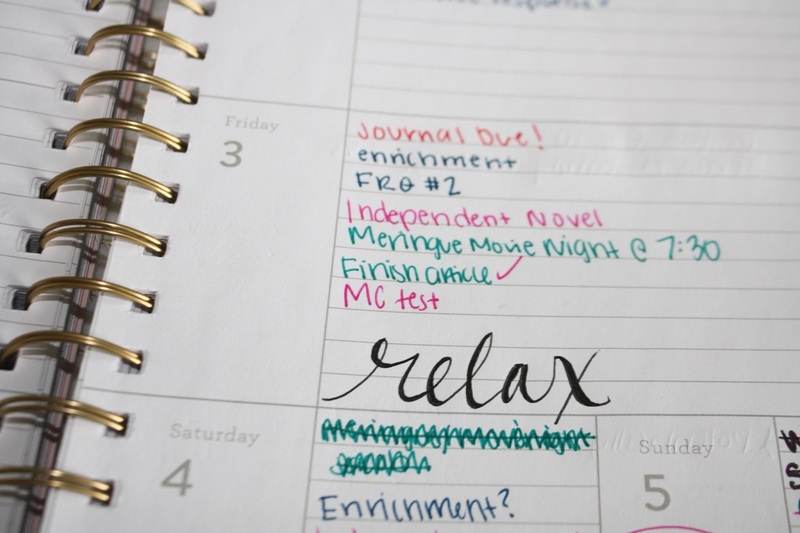 Not only does this make your planner look happier, it also makes you relax! Stickers can also spruce up your planner, but I prefer writing calligraphy! One last piece of info: the pens. I love gel pens and I find they look the best in my planner. I use Papermate Ink Joy gel .7 and Pilot G2 .7. Thank you all for reading! 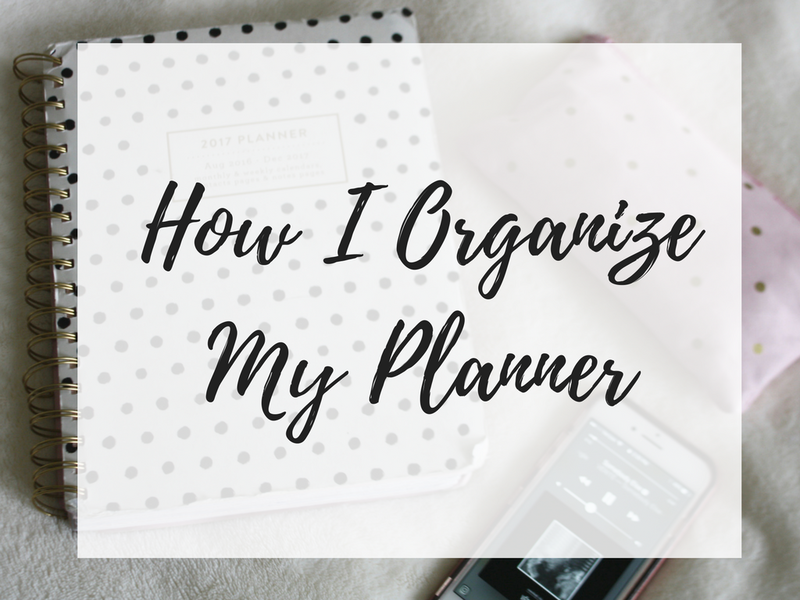 I hope I have given you some inspiration to get your planner organized! If you all are interested in more school related posts, please let me know!